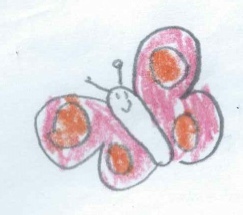 Just some of the artwork being used for the animal masks. An impressive rainbow has emerged. 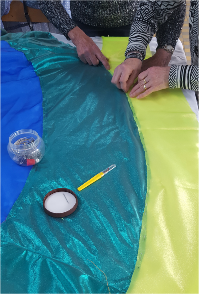 Weeks of planning, cutting, sewing etc have now paid off, and this rainbow will add some very welcome colour and cheer after the expected flood. The ark is now really taking shape, with some final shaping and paintwork. Glad to have got this far, as although the weather is great, the forecast is for rain! 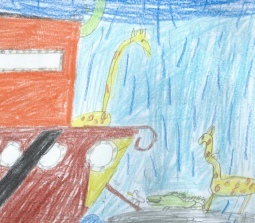 As so much fabulous artwork has come in from the school children, we have built a web School Art Gallery>> where it can all be seen as soon as we have it available. There are Rainbows, Doves, Animals, Ravens, Arks, Sunshine, Rain and everything else you might expect to illustrate the story. More work on the Rainbow. Colours are being added all the time. As the colours extend out along the rainbow, more and more fabric and sewing is needed. It is starting to look really spectacular. If we are on yellow, there must only be a couple more to go! 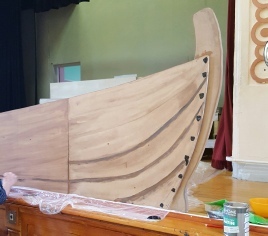 An ark in the making.lots of work needed to paint and embellish but it can be ready quite quickly if the weather looks threatening! 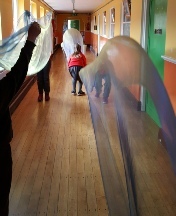 Eight girls in St Agnes 6th class who will be leaving primary school in June are going to try out as the waves and had a first practice during morning break in the corridor beside the library with their blue and green chiffon waves. It is a lot harder than it looks to keep the waves moving slowly and build up to a climax during the storm. Children in 2nd class experimented with holding the masks. Students in 5th and 6th class joined the rehearsal at 1 pm directed by Gerry Noonan. First attempt to find out how many animals and birds Noah will be able to get into the Ark.. The weather is beautiful, and it seems fitting that the magnificent colours are appearing on our rainbow. The musical colours for the rainbow are being prepared also, with the beginning of the hand bell rehearsals. Bells have been assigned and we are producing the beginnings of that magical sound. Meanwhile axe, hatchet and hammer have arrived. They will be needed for building the ark. Parental advice: don’t worry, they are made entirely of wood. Weeks fly by. 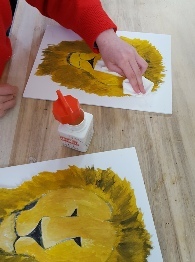 Girls in 3rd and 4th class have come to finish backing masks on foam board. 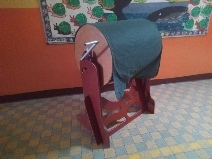 Incredibly the wind machine has arrived, made at home by Seamus Doyle. The hand bell group are now meeting regularly on Mondays at 6 pm before the Parents’ Orchestra rehearsal. The Slung Mugs to make rain drops have made an appearance in the music office too. Zoe Ray who has taken part in the two most recent productions of St Agnes’ Musical Society will be ‘The Raven’ . Zoe was one of Annie’s younger sisters in ‘Annie Get your Gun’ in March 2016 and also played a variety of roles in the pantomime in January. The Raven is sent out by Noah to find out if there is any dry land anywhere and does not return and dances to a remarkable cello solo. Sophie Nolan, who plays violin in St Agnes/Scoil Colm Primary School Orchestra, will play the part of ‘The Dove’, who is sent out after the Raven and faithfully returns with the olive branch which Noah declares to be a sign of peace. The Dove is accompanied by an equally beautiful and evocative solo on recorder. After lunch St Agnes’ 4th Class joined 3rd Class to learn the Kyrie Eleison as the animals and birds arrive and made a start on learning the Alleluia at the end, as well as Eternal Father, Strong to Save. 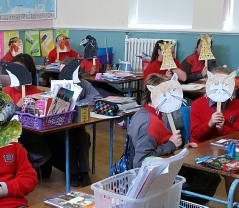 5 th class try out some of the masks. Casting was completed for Noye and his family on Tuesday 26th as Rebecca Connell joined the cast following an audition. Rebecca will also sing the part of Chava in the spring production of ‘Fiddler on the Roof’. Children from 3rd class came to help make masks. The numbers of animals and birds is now increasing rapidly. 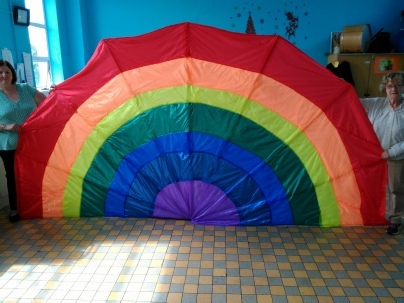 The Costume Club have begun to assemble the rainbow. The Rainbow is being constructed. Bamboo poles are used to mount the soon to be very colourful rainbow. The rainbow appearance is a great moment in the opera as it shows us the sun has come out, the flood will pass, and Britten creates a magical handbell sequence to mark the moment. 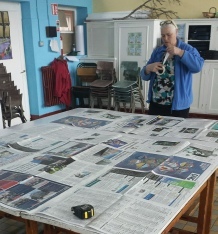 Although much work has already been put into planning, organising, designing etc, April sees a real injection of energy into the art and craft work, as well as bringing together some of the musical elements. Ms Doherty's 3rd Class met Gerry Noonan (NOYE) for the first time in Room 31. Gerry told them the story of Noah, and the class learned the Kyrie Eleison and sang Eternal Father strong to save for the first time. 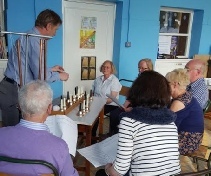 John and Margaret Whelan, Ann Cummins, Frank Slocket, Jim Slater and Phyllis Monaghan meet the handbells for the first time after the Parents Orchestra rehearsal in St Agnes; CCMA. The handbell group will start meeting weekly for short rehearsals at the end of the morning string orchestra rehearsal. The NOYE story is really beginning. The Monday Costume Club started cutting robes for NOYE. 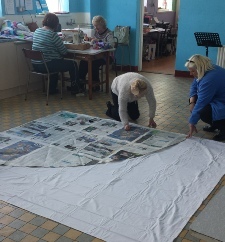 All the materials have been bought to make the costumes for Mrs Noye, the three sons, Sem, Ham and Jaffett, and their three wives. Costumes for the Gossips are already made, and have appeared most recently on Bali H'Ai in South Pacific. The first experiments on mounting the painted animal and bird heads on foam board worked very well. Plans were made to bring children into the work room in small groups to help with the masks as much as possible. The dimensions of the rainbow were worked out . 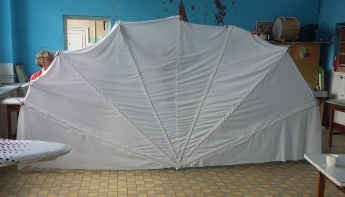 It should fold out like a giant fan.